Welcome to Kuwait Labor Law! Welcome to Kuwait Labor Law website! Here, you can find information regarding the Kuwait Labor Law both in the private and public sector, in which the Ministry of Social Affairs & Labor (MSA&L) enforces labor regulation in the private sector. Sources for the contents came from and was passed by the National Assembly recently. Before it is sent to HH the Amir for his endorsement, the law requires approval from the Kuwait Cabinet, if it becomes effective it will be then published in the Kuwait Gazette, we keep our pages up-to-date to any recent advancement regarding Kuwait Labor Law. The website aims to provide its readers all necessary information to maintain a harmonious working environment in Kuwait. Its goal is to inform regular employees, both residents and foreign workers, about their rights and privileges. It also includes procedure for hiring legal, competent employees for the private sector, knowing Kuwait Labor Law will be an advantage to any employee as well as employers. With this knowledge, there will be lesser chances of fraudulent transactions, hiring and employment. Kuwait Labor Law web site also contains articles about the definition and functions of the Private Sector, the detailed Kuwait Labor Law for the Private Sector as well as the newly-amended Kuwait Labor Law 2011. To know more about these topics, just visit the links to the other pages found in the homepage. Kuwait Labor Law, the original enactment, was issued by the late Shiek Jaber Al-ahmed Al-Jaber on the 1st of August 1964 and was then enforced by the Ministry of Social Affairs and Labour (MS&L). Kuwait Labor Law was created to regulate the work force in the private sector. The Kuwait Labor Law was recently amended to align with the private sector holidays and their duration on the public sector holiday’s schedule. “Public Authority for the Workforce” is also included in this amendment. This means that they have the sole responsibility in overseeing hiring and employment. Checking private sectors’ application for visa is one of its main concerns. This new amendment aims to lessen discrimination and ensure a fair treatment for all blue collared jobs. It was passed by the National Assembly and still needs to be approved by the Kuwait Cabinet before it will be sent for endorsement by the Amir. Why do you need learn the Kuwait Labor Law? If you are planning to work in any foreign country, it is best to know their Labor Code. This is the same with Kuwait Labor Law. Knowing the do’s and don’ts in a country will allow you to take advantage of the benefits like sick leave and vacation leave. Being aware of their laws will also prevent you from breaking them and be sanction with suspension or worst deportment. Kuwait Labor Law contains all essential rules and regulations that an employee needs to know before accepting the contract. It also contains significant guidelines and procedures that the employer should follow to make sure that an individual is a competent worker and is authorized to work in Kuwait. Kuwait Labor Law is subject to a variety of amendments, decrees and deletion. 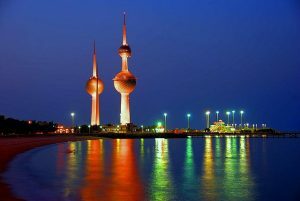 Kuwait Labor Law website also have links to other websites, that might interest you like Application for Kuwait Visa, Employment in Kuwait, Application for Citizenship in Kuwait, and etc. These websites will provide you the information/guidelines that you need to a specific purpose you wish to acquire. Please visit our Kuwait Labor Law website from time to time for further updates.